Your Residential & Commercial Air Conditioning Specialist. SAFAIR Air Conditioning provides specialist ducted air conditioning and split system air conditioning products and servicing Sydney wide. We provide Air Conditioning sales, installation and service in all major Sydney metropolitan areas including: Liverpool, Campbelltown, Bankstown, Parramatta and all Sydney suburbs. Safair understands that ducted air conditioning or split system air conditioning has become a necessity in the home and work place. Choosing the right air conditioning system and maintaining it is a long term commitment. How much is a ducted air conditioning system or split system? 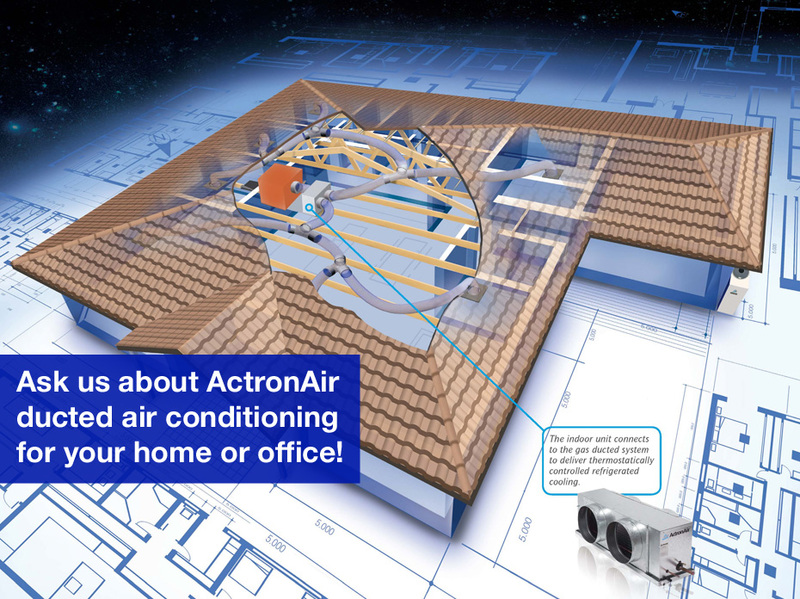 Click here and request a quotation to air condition your home or office. We can help you find the right system to suit your budget and needs. Our preferred manufacturers; Actron, Daikin, Samsung, Hitachi and Temperzone, provide an extensive range of quality ducted air conditioning and split system air conditioners to ensure complete satisfaction and performance. We can also provide you with a range of alternative solutions depending on your specific heating and cooling needs. Air conditioners are the most efficient form of acclimatising any desired area and have never been more economical with the correct design and installation. We supply all types of air conditioning systems, customised to your individual requirements. Safair provides flexible air conditioning maintenance programs to ensure economical running and to maximise the life of your investment. So why not conquer the summer sizzle and the winter chill by sending an email or calling us on 1300 382 462 for a FREE quote. Our friendly staff are at your service. We love our Air Conditioning unit it has made living in our home during summer far more comfortable. We also appreciate Josh came and quoted after hours and answered all our concerns and questions. Very Impressed with the service “Safair” provided from Quote to Installation. Everything went off without a hitch. I would happily recommend “Safair” to anyone considering A/C advice and service. Highly Professional Company to deal with! Excellent Service – Arrived on time and did a great job. Have already recommended you to friends.